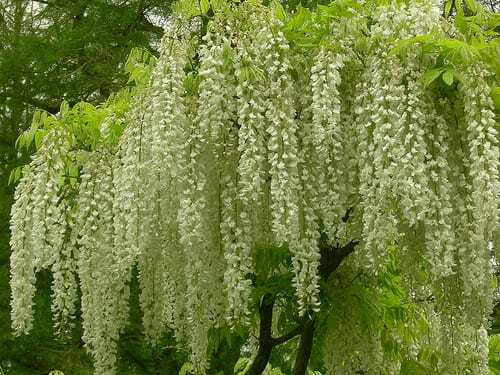 As Kate walks down the aisle in Westminster Abbey today towards her husband-to-be, she’ll pass by six 20ft field maple and two hornbeam trees. What a lovely way to conjure up the feeling of getting married in the middle of the English countryside…whilst the hustle and bustle of London carries on outside. The trees are part of the ‘wow’ factor Shane Connolly (pictured above), the official florist, wanted to create. Shane has a royal warrant and designed the bouquet and flowers for the Prince of Wales’s wedding to the Duchess of Cornwall in 2005. He’s known for his ‘sustainable approach to floristry’, using live growing plants and trees. 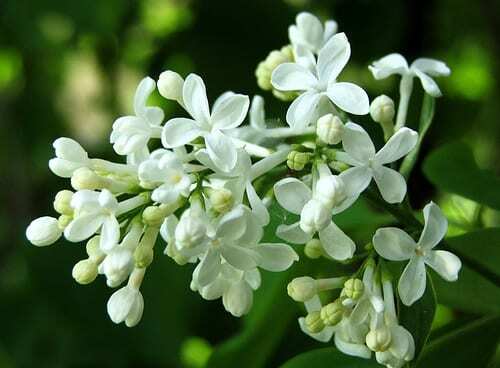 All the flowers, foliage and trees for the royal wedding are seasonal, British and they’ve come from the royal estates. With regards to colour scheme, the royal couple have chosen a neutral palette of white, cream and green. According to Shane, one of the things that’s been very important to Kate is the meaning and language of flowers. 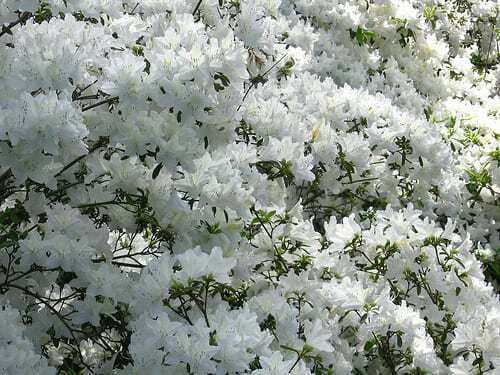 She’s chosen blossoms, azaleas, rhododendron, euphorbia, wisteria, lilac and lily of the valley. And here are images of some of them, with their meanings. I’ll let you interpret how they relate to Kate and William! 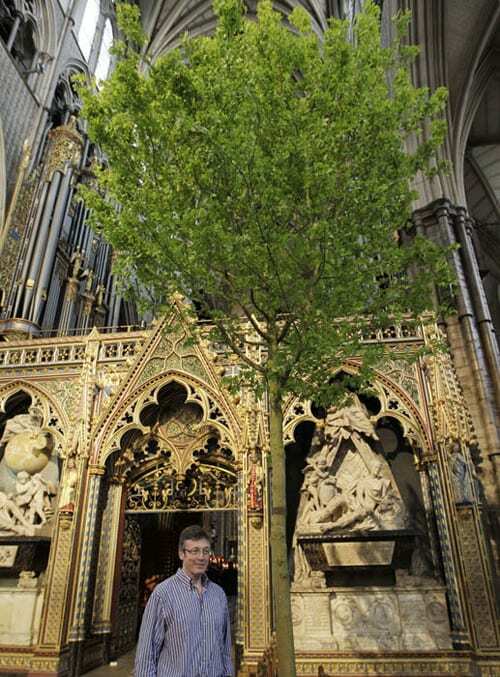 After the wedding, the flowers and trees will remain in situ until Friday 6th May, where visitors to Westminster Abbey will be able to enjoy them, before the trees are taken to the Prince of Wales’s Highgrove estate, where they’ll be planted as a permanent reminder of the day. I’ll be glued to the television today…and one thing that I’ll especially be looking out for is Kate’s bridal bouquet. 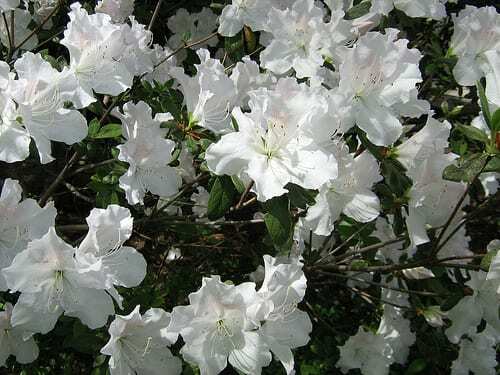 Apparently Shane refused to reveal details about it to the press, saying only that every flower would hold significance. But I’m sure there’ll be a sprig of myrtle in it! P.S. One florist mentioned to me on Twitter this week that she was a little bit scared that her future brides will now be looking for 20ft trees…and that she might have to start looking for a lorry, which made me chuckle! As the author of an Astrological wedding planner A TOUCH OF VENUS – WEDDING PLANNING WITH THE BRIDAL ZODIAC, I found it most interesting that Kate’s flower selection, plus the flower girl’s wreaths, confirmed the concept I have developed that the Astrological Sun Signs of the Zodiac have a great deal of influence on the wedding date selected. Kate was married under a Taurus sun. 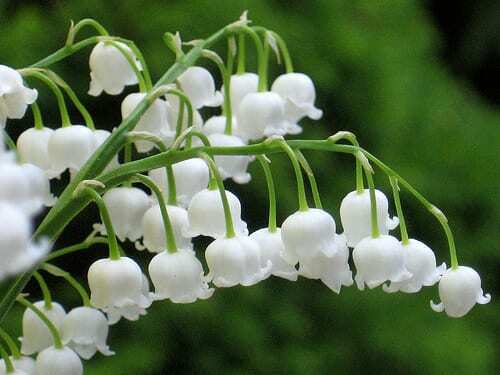 Lily of the Valley is the main flower that could be used, as well as roses. The tree lined street represented “garlands”, another Taurean influence.